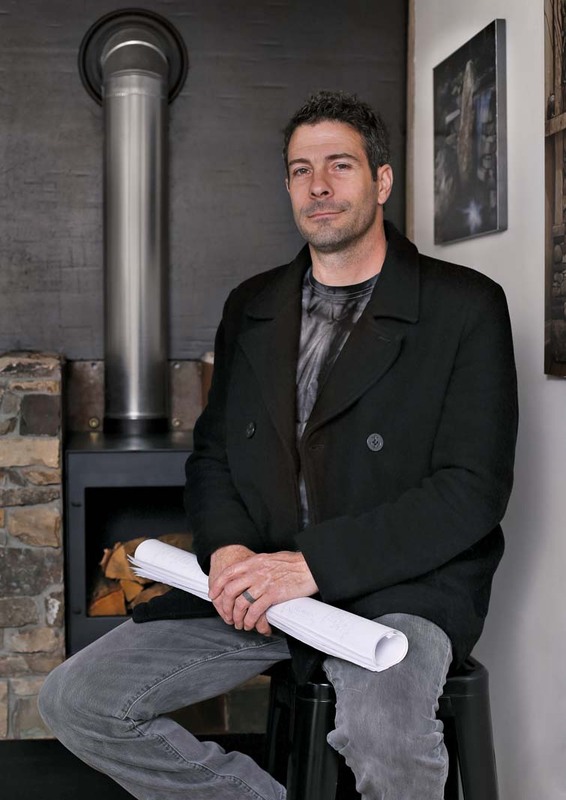 The founder of Blackbox Container Studios talks architectural innovation with us. To think outside the box; it’s a phrase that connotates originality, creativity, and uniqueness. 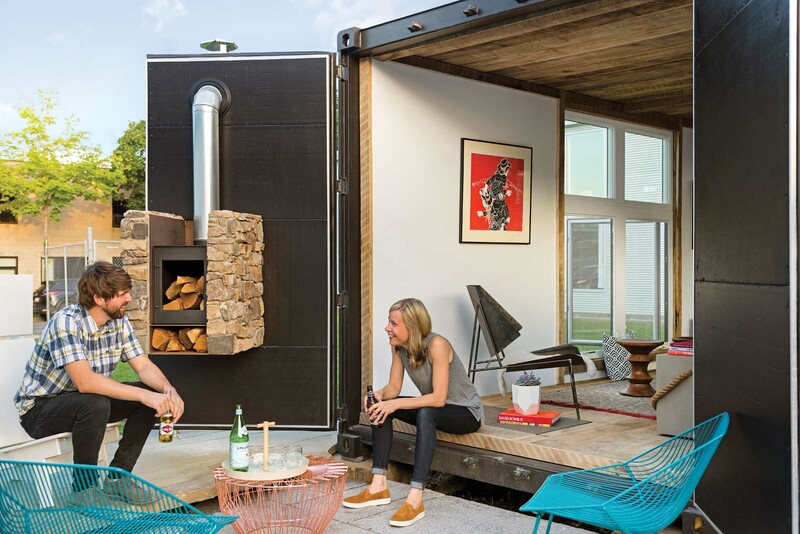 To Shane Schaaf, founder of Blackbox Container Studios, it’s all about thinking inside the box—specifically, inside shipping containers. Schaaf specializes in turning these big metal boxes into some of the most unique studios, cabins, and homes you’ll ever experience. To Schaaf, these living spaces are more than just an avant-garde nod to modernism; they’re an opportunity to create homes that reflect both sustainability as well as the unique nature of each client. 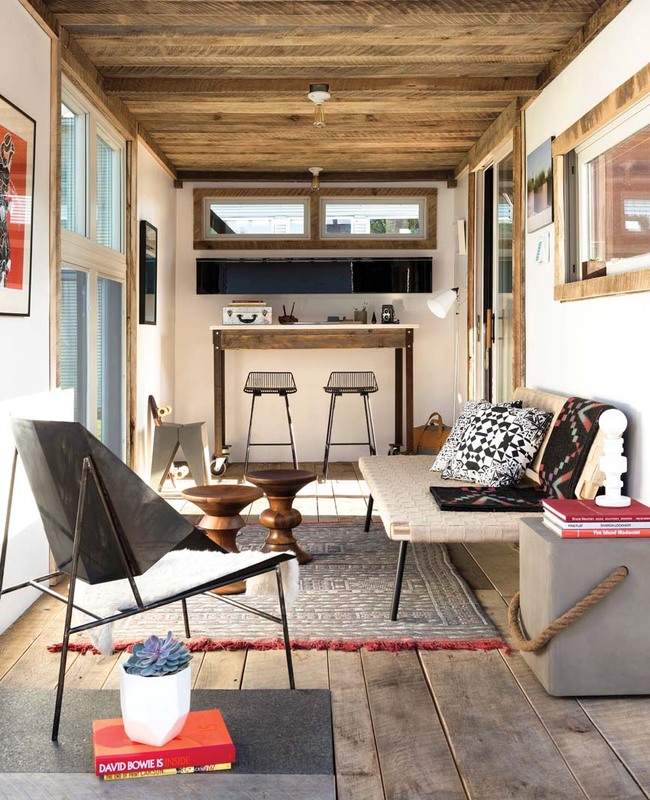 How did you get started in creating homes from shipping containers? My grandmother and corten steel. It’s actually true. My grandmother first introduced the concept to me as a solution to building on a remote property in northern Arizona. My experience as a stonemason and landscape designer taught me the advantages and characteristics of using corten steel. Essentially, it’s high-strength steel that creates a crust of protection around itself, preserving the strength of the steel. These two ingredients, along with a passion for cutting-edge design, became the seeds of Blackbox’s approach to solution-based construction. What unique advantages do your shipping container homes have compared to traditional construction? Time, strength, and character. Time, because of the ability to fabricate certain aspects of the overall home as the site preparation and foundation are being completed. On average, all of the prefabricated containers for a home can be craned onto the foundation in a day. This allows for proper installation and inspection of electrical and plumbing components onsite by local inspectors. Then a general contractor or homeowner would typically be responsible for the finishing details of the home. Strength, because of the nature of a solid steel building when anchored to a foundation. And character says it all because architectural shipping container homes are just plain cool. Do you have a particular person who has inspired you in your career? As awesome and strange as it may sound, I can trace my creative gifts being nurtured to both of my grandmothers. My other grandma would lay out a pencil and paper and I would draw, draw, and draw. The best thing you can do for a bored kid is draw with them. In return, you invest in their future. What do you feel is the biggest misconception regarding shipping container homes? Livability and cost. Without an experienced and professional approach to the construction of a shipping container home, you just have a shipping container. The transformative ability and systematic approach we offer addresses the nuances and details it takes to build a real home on a budget. Proper insulation and eliminating condensation regulate the indoor environment while modern touches of natural stone and reclaimed wood warm up the soul.